35 DETAILED PHOTOS ON OUR WEBSITE !! WWW.EASTPENNAUTOSALES.COM !! 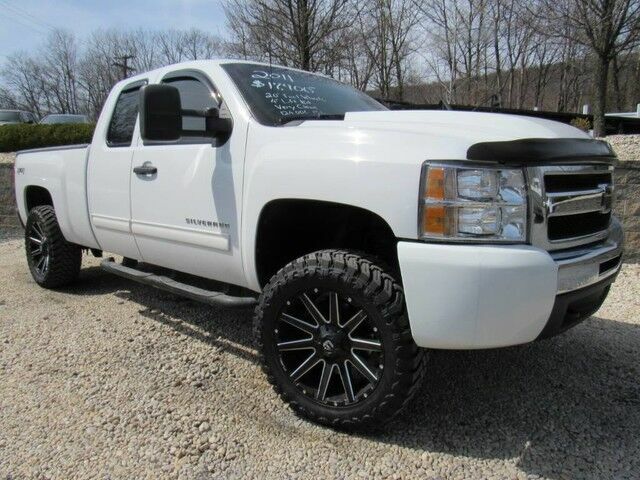 BRAND NEW FUEL 20X10 WHEELS WITH BRAND NEW M/T TIRES !! NEW PA STATE INSPECTION AND EMISSIONS PLUS NEW OIL CHANGE !! EXCELLENT CONDITION INSIDE AND OUT !! NON - SMOKER, THIS SILVERADO WAS VERY WELL CARED FOR AND TAKEN CARE OF !! EVERYTHING WORKS JUST AS THEY SHOULD !! VERY HEALTHY ENGINE, WITH A SMOOTH SHIFTING TRANSMISSION AND A SMOOTH QUIET RIDE !! ALL TRADES ARE WELCOME AND FINANCING PRIME RATES ARE 4 % @ 60 MO !! AND EXTENDED WARRANTIES ARE AVAILABLE !! WE ARE A FAMILY OWNED AND OPERATED BUSINESS THAT HAS BEEN AT THE SAME LOCATION FOR 22 YEARS AND WE ARE HERE TO HELP AND ASSIST YOU ANY WAY WE CAN!! NO COMMISSIONED SALES PEOPLE HERE, ONLY FRIENDLY PROFESSIONAL AUTOMOBILE EXPERTS THAT WILL DO ALL IN THEIR POWER TO MAKE YOUR NEXT AUTO PURCHASE A PLEASURABLE EXPERIENCE ! !